Photo by: Dani Simmonds, via Free Images. Albany, NY - May 22, 2015 - Boat stewards will be deployed at 14 new locations and 11 new decontamination stations will be available across the Adirondacks this summer as part of a collaborative program to prevent the introduction and spread of aquatic invasive species (AIS) in the Adirondacks, state Department of Environmental Conservation (DEC) Commissioner Joe Martens announced today. The program is the result of a historic agreement reached among more than 60 conservation groups, owners associations, and local and state governments in March to work in concert to help preserve clean water, increase recreation opportunities and promote tourism. "Through this partnership program we aim to significantly reduce the threat posed by aquatic invasive species that could harm the health of our rivers, lakes and streams and the fish and plants that inhabit them," said Martens. "Starting Memorial Day weekend, and throughout the summer, a pilot program in the Adirondacks will focus on boater education, boat inspections and boat decontamination. Governor Cuomo recognizes the importance of these efforts and provided increased funding in this year's budget to fight invasive species. Our partners in this program bring invaluable resources, knowledge and talent that together will benefit residents, tourism and the environment." New York State is working with local governments, lake associations, the Adirondack Park Invasive Plant Program (APIPP) and Paul Smith's College Watershed Institute in taking a frontline defense against invasive species, such as Eurasian watermilfoil and spiny water flea, in waterbodies in the Adirondacks. This effort is funded by the state Environmental Protection Fund (EPF). Under Governor Cuomo's leadership, the new state budget included an additional $1 million in the EPF targeted specifically for combatting AIS. The program will strategically locate inspection stewards and decontamination stations along highway corridors with high boat-trailer traffic and near waterbodies with significant AIS concentrations. The stewards, hired and trained by Paul Smiths College, will show arriving boaters the signs of possible invasive threats on their watercraft and trailers. Using high pressure, hot water decontamination units, stewards will also clean boats that have not been cleaned and drained, especially those last used in waters with high risk for AIS. Boater participation is voluntary yet strongly encouraged. Invasive species attach to the outside of boats or the bilge, live well, bait well and ballast areas on the inside of boats, wreaking havoc on native fish and plants as they travel from water bodies. Lake associations spend millions of dollars every year pulling Eurasian watermilfoil and they have to repeat this effort every summer. It is more economical to prevent invasive species than to try to eradicate them. Starting Memorial Day weekend boat stewards will be deployed at: Fish Creek Pond Campground, Lewey Lake Campground (Indian Lake Launch and Lewey Lake Launch), Moffitt's Beach Campground, Piseco Lake Campgrounds, Town of Day Launch, Hinckley Flow Reservoir, Northhampton Beach Campground, Brown's Tract Pond Campground, Carry Falls Reservoir, Chazy Lake, Golden Beach Campground, Hudson River at Luzerne and Limekiln Lake Campground. The Clifton/Fine boat decontamination station opens this holiday weekend while additional decontamination stations are scheduled to open in June at: Speculator, Northville, Chateaugay, Okara Lakes, Paul Smith's, Cadyville, Ray Brook, Horicon, Piseco and South Colton. "We're pleased to serve in this important role," said Cathy S. Dove, president of Paul Smith's College. "This new Adirondack Park-wide boat-inspection and decontamination program represents an unprecedented investment of ideas and resources toward safeguarding the ecological, cultural and economic destiny of the Adirondack region. The Governor has recognized that lakes and rivers lie at the heart of the Adirondack experience and form the basis of our communities, even as they face increasingly severe environmental threats. All New Yorkers stand to benefit from this far-reaching program, which both protects internationally recognized natural heritage and will serve as a model for similar landscape-scale invasive species programs within New York State and beyond." "It is a privilege to work alongside Governor Cuomo and the New York State Department of Environmental Conservation to implement an aquatic invasive spread prevention strategy to safeguard economic vitality, environmental health, and the natural splendor of the Adirondacks," said Brendan Quirion, program coordinator for the Adirondack Park Invasive Plant Program. "Our iconic lakes and ponds and future generations deserve nothing less." To implement this pilot program, DEC collaborated with the NY Department of State and the State Department of Transportation. New York State Department of Transportation Commissioner Joan McDonald said, "Boating is an enjoyable and refreshing form of transportation for New Yorkers, but it is essential that this recreational travel does not inadvertently introduce aquatic invasive species to our Adirondack waterways. We are proud to have worked with Governor Andrew Cuomo and DEC Commissioner Martens to create these new decontamination sites." "Invasive species can significantly impact water-based recreation and tourism, which are significant contributors to the local and regional economies," said New York Secretary of State Cesar A. Perales. "Through the Local Waterfront Revitalization Program, the Department of State is pleased to support this important initiative to limit the spread of these aquatic invasive species in the Adirondacks. We look forward to working with our sister agencies to provide communities with the resources needed to combat this threat to water quality and community revitalization." CLEAN boats, trailers and equipment of any debris, and dispose of it in an upland area or receptacle provided for this purpose. 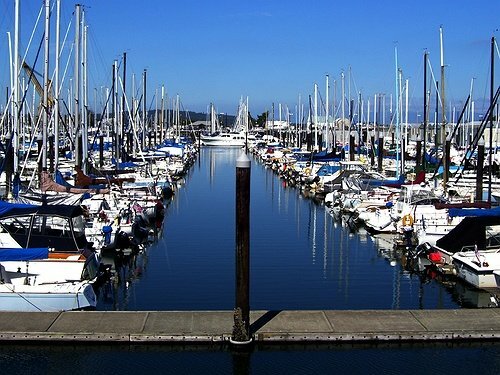 DRAIN the boat completely, including bilge areas, live wells and bait wells. Water ski and wake board boat operators should be sure to drain all ballast tanks. Many aquatic invasive species can survive in as little as a drop of water, so it is imperative that all water is removed. DRY all equipment for at least five days before using it in another water body. Longer drying times may be required for difficult to dry equipment or during damp or cool periods. Recommended drying times for various seasons (offsite link) can be found at 100th Meridian Initiative website. Drying is the simplest and most effective way to ensure equipment does not transport plants or animals. If boating equipment cannot be completely and thoroughly dried, it must be decontaminated prior to use in another water body. Various decontamination techniques and special techniques to clean boats previously used in zebra mussel infested waters are provided on DEC's website. For a listing of the aquatic invasive species that have been reported from publicly accessible state waters, visit the DEC boating access directory. Subject: LongIsland.com - Your Name sent you Article details of "DEC Launches Collaborative Effort to Combat Aquatic Invasive Species in Adirondacks"